The EvidenceCare Pediatric Advanced Life Support (PALS) pathway offers providers a structured approach to managing pediatric arrhythmias (bradycardia, tachycardia), pediatric resuscitation and post arrest care. We summarize survival outcome data for in-hospital and out-of-hospital cardiac arrests (OHCA). Recommendations are based off of the 2015 American Heart Association (AHA) guidelines. 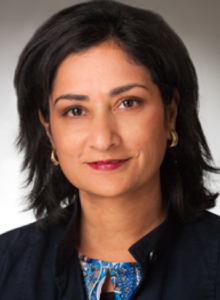 Dr. Sharieff serves as Corporate Director, Physician Outreach and Medical Management, Scripps Health, San Diego She is also a Clinical Professor at the University of California, San Diego. Dr Sharieff is a nationally and internationally recognized lecturer on topics including physician integration into the patient experience, pediatric emergency medicine, conflict management and team bulding. She has been awarded several regional and national teaching awards. She has served on many national committees including: Past Chair of the American College of Emergency Physicians (ACEP) PediatricEmergency Medicine Committee; Past Chair of the ACEP Pediatric Section; the ACEP Public Relations Committee; the American Acacemy of Emergency Medicine (AAEM) Board of Directors; and was also the Co-Chair of the AAEM Education Committee. She is well published and has authored multiple research articles, book chapters and review articles.